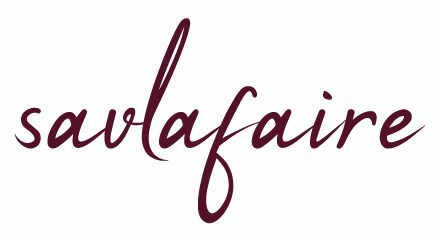 The next chef in my Spotlight on Chefs series doesn’t need a lengthy introduction. 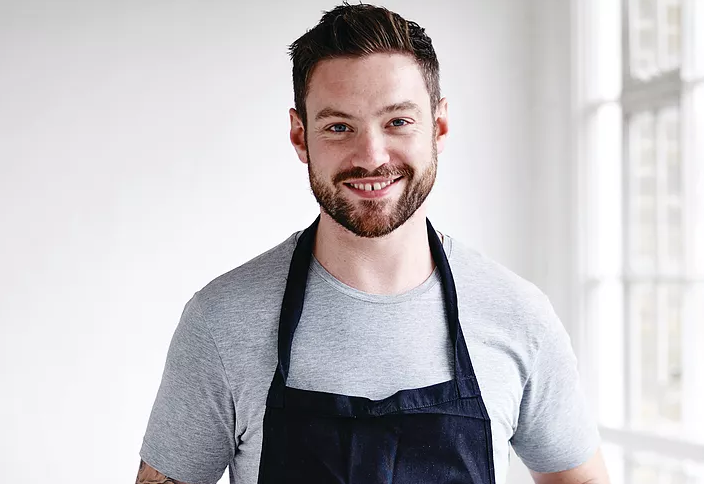 If you’re reading this, it means that you have an interest in food, which means that Dan Doherty will be on your radar. 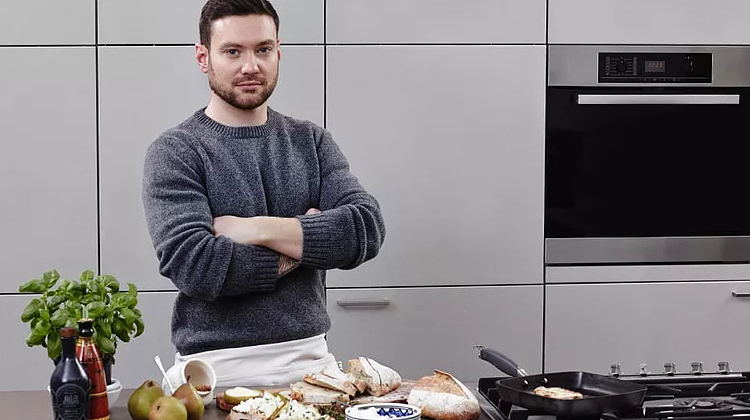 Currently Chef Director at Duck & Waffle, Dan also founded the TMRW Project, which supports novice chefs. Charitable causes are also close to his heart, including Action Against Hunger and Learning for Life. 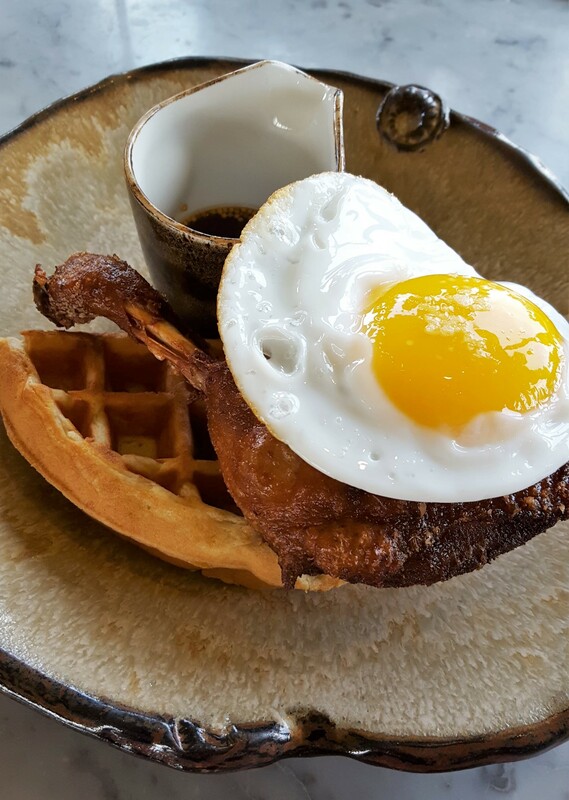 Dan shows no signs of slowing down, with this week’s announcement of a new duck-centric restaurant opening in St James’s Market in May: Duck & Waffle Local. Lastly, he somehow finds time to maintain an impeccable Instagram feed, regularly featuring in “Top Food Instagram Accounts” lists. What’s the one dish you’ve tried in another restaurant that you wish you’d created, either in London or elsewhere, and why was it so memorable? Shaun Searly’s crispy potatoes [SF: Shaun is the head chef at Quality Chop House]. They are layers of potato cooked in duck fat, pressed and fried until crisp, finished with a mustard dressing; so good. 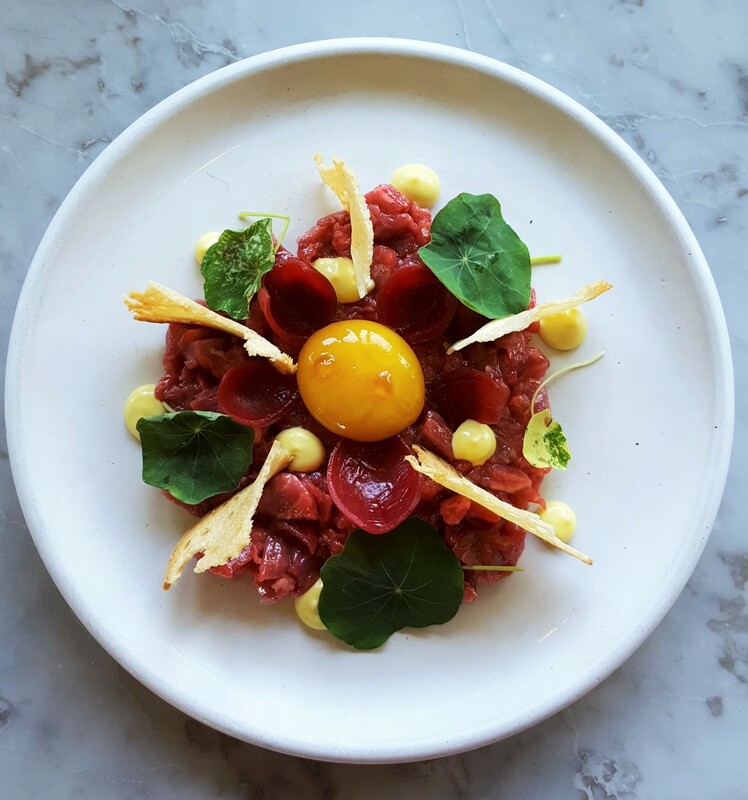 How do you try to minimise food waste at Duck & Waffle and the various events that you’re involved with? Like a lot of restaurants, we try to use as much of a product as possible. We recycle what we can, and try not to throw anything away. What’s your least favourite job in the kitchen and why? I don’t really have one. I’ve weirdly always loved cleaning; I find it therapeutic. I suppose the only thing I don’t like doing is blitzing soups and sauces. No idea why, though! Maybe it’s the noise. With review sites like TripAdvisor and the rise of bloggers, everyone’s a critic; how do you handle any negative feedback? We try to solve it on the spot, and kill them with kindness, within reason. If something isn’t perceived to be good then we have to fix that, as ultimately perception is reality, but we have to protect our staff from aggressive complainers, too. It’s nice to be nice! Which failures have taught you the best lessons, either inside or outside the kitchen? The easy way is the hard way! Don’t cut corners, it never works. Are there any opportunities that you wish you’d taken and what was the consequence of not having done so? When I finished my apprenticeship at Michelin-starred 1 Lombard Street, I wish I’d gone to somewhere like Le Gavroche for a few years before rising up the ranks too quickly. That said, everything happens for a reason and I’m happy with where I am and how I got here. You just collaborated with Sky Atlantic on The Drama Kitchen pop-up takeaway, creating 12 meals inspired by 12 TV series. How did this novel idea come about, what were the challenges and which one were you most proud of? I love creating things, and when a brief is so different, so specific and unique, I just jumped at the chance. They thought my style matched the project well so got in touch to see if I’d be up for it. I love the psychology behind being a good manager or mentor and how it can apply to a football manager or a chef. I find it fascinating, how you can get the best from people or steer people away from bad habits. I’d love to learn more about it, too. I don’t know, really. It isn’t random, but if I go to Pret for a sandwich, I’ll always get an extra one for the homeless guy who’s often outside near where I live. What’s your most valuable possession, how did you acquire it and why does it mean so much to you? Hmm, tough one. I’d say my dog, Miso! 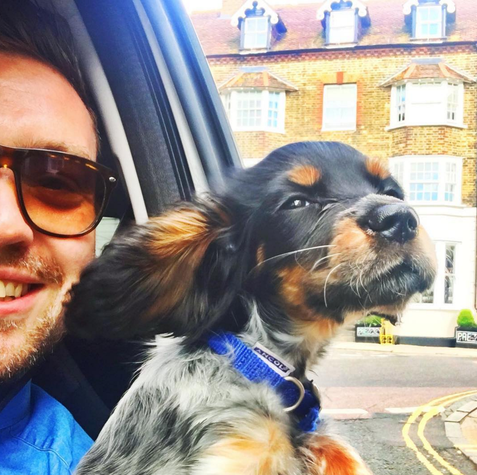 I’ve always wanted one and the time was never right, but then I just thought, “Sod it, I’ll make it work.” He’s the best; a silly little thing, but when you get home and see his little happy face, that’s priceless. You’re a fitness enthusiast and have run marathons and cycled around India and Myanmar to raise awareness and funds for charities. What goes through your mind when you’re putting in the training hours and then out on the road? I always have this weird thought – maybe not so weird, but it is a fantasy, certainly not reality! – I imagine how it would feel to win something – a gold medal, a marathon – and it gives me goose bumps. That really drives me along and makes me push on. Also, when I’m feeling tired or weak, you just have to remember that it’s your brain playing games with you, that you need to work harder and not listen to it. My answer to this changes all the time, but having just listened to David Beckham’s Desert Island Discs, it’d have to be him. 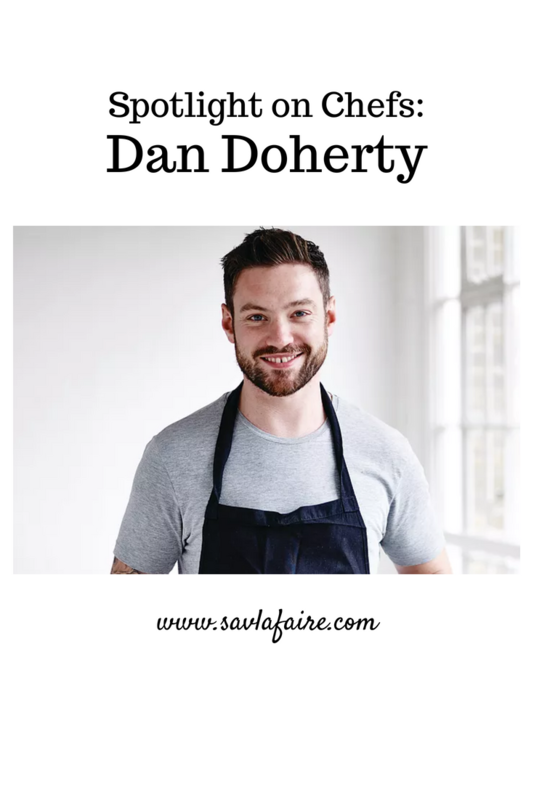 If you enjoyed reading this Dan Doherty interview, you can check out more exclusive Spotlight on Chefs interviews here. Loving this insight into the culinary world! Glad that you’re enjoying the posts, Emma – loving doing the interviews and writing them up for you guys! 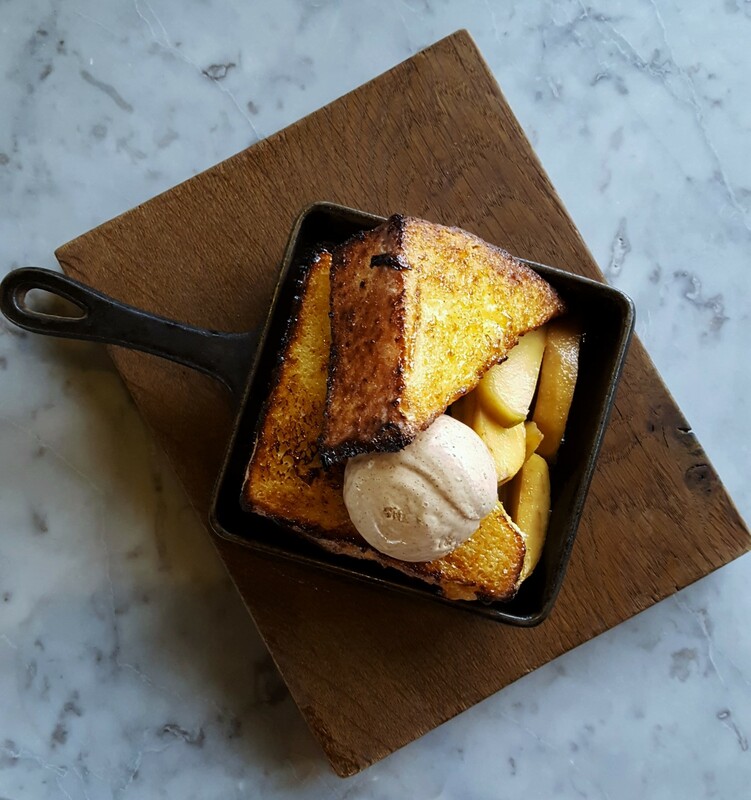 Loved this post Seetal – Dan Doherty is such a foodie legend! Thanks, Reena – his food (and photos) are pretty amazing!